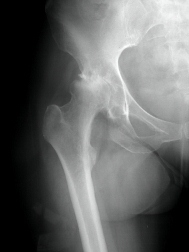 Stryker Rejuvenate Hip Patient shows signs of Metallosis. Bergen County, NJ: When Paul, who had a Stryker Rejuvenate hip implanted, received a Stryker recall letter from his doctor he immediately had blood tests to rule out the possibility of metallosis, which has been linked to the device and one of the reasons for the recall . “Sure enough I have a chromium level of 8.8 which is high and cause for concern,” says Paul. Paul (not his real name), age 62, also had an MRI, the results of which showed inflammation, some irritation and problematic tissue destruction—all typical signs of what happens when the metal breaks away from the device, determining that the metal-on-metal device is defective. As a follow-up to his call last summer, Stryker sent Paul a package of information, including a request that he release to the company his medical records. That is when he decided to seek legal help. “I don’t know why they wanted my medical records, they didn’t even tell me why,” adds Paul. “On my attorney’s advice I discussed with my doctor that I am seeking legal advise and that it has nothing to do with him.” His doctor understood and had no problems with Paul seeking legal counsel, particularly because another patient of his has problems with Stryker. “It was important that my surgeon knew I was going against Stryker; I also wanted my doctor to be on my side because I didn’t want to lose my relationship with him and I didn’t want even a hint of a medical malpractice lawsuit. My attorney has made it clear that we are going after Stryker and not my surgeon. “I believe that surgeons have been sold a bill of goods by Stryker. When my surgeon and I first talked about the Stryker Rejuvenate, I thought he could make a precision fit for me. Being an engineer this device really appealed to me; I could understand the mechanics behind it. This particular prosthetic was not metal-on-metal because the stem itself is chromium or titanium and the other part that goes to the ball is chromium. But I look at this as one metal piece, with two different metals. Four More Victims Strike Out with Stryker Rej..